Everyday FBA: Functional Behavior Assessment - I Love ABA! 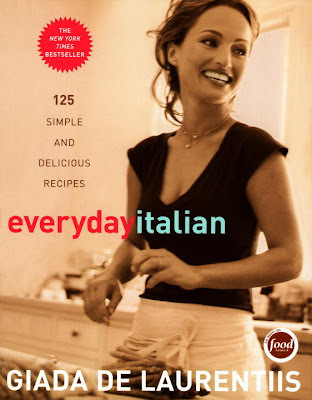 I am a fan of her cooking shows "Everyday Italian" and "Giada At Home". She makes preparing elegant Italian dishes seem quite simple and easy to accomplish for amateur cooks like myself. So what in the world does Giada have to do with FBA’s & behavior? 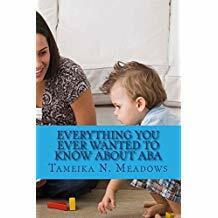 Some professionals in the field of ABA do clients a disservice when they cannot break down complicated, jargon- filled terminology to explain behavior in such a way that a busy parent with 3 kids or a stressed out 2nd grade teacher can apply these techniques. If you are a professional reading this blog, understand that much of what you think up/write as an ABA professional will be implemented by someone other than you. You can spend hours writing an amazing intervention, but if you can't get the family members or teachers to carry out your intervention then what's the point? Part of my responsibility as an ABA professional is to teach and train people at a level that makes ABA seem easy to understand and carry out. That is part of providing effective treatment to clients. A FBA, or a Functional Behavior Assessment is a behavior analytic tool that I will explain in this post (A FA, or Functional Analysis, is a more complex way to determine the function of a behavior by manipulating the environment. A full FA should always be conducted by an experienced ABA professional). Understanding an FBA is critical to any ABA program. A FBA is a tool used to determine the function of a behavior, and then design a function based intervention. 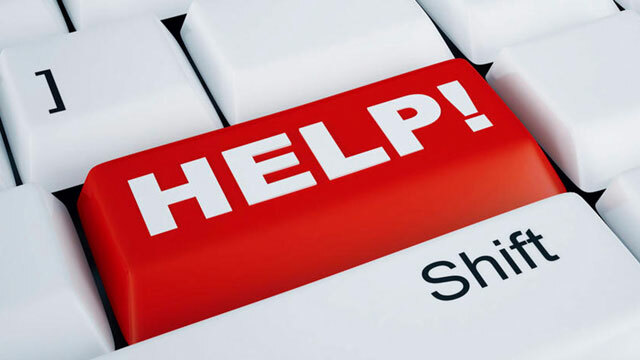 This post is intended to be a brief introduction to the FBA process. If you are having behavioral issues with your child/client, it is always recommend you contact a Behavior Analyst to conduct a comprehensive FBA and design a behavioral intervention, rather than try to create an intervention yourself. To put it another way, watching “Everyday Italian” does not qualify me to open an Italian restaurant. It’s a basic understanding at a limited knowledge level. To understand what an FBA is, first lets define behavior: A behavior is anything an organism does in response to a stimulus. To put it simply, behaviors are observable and/or measurable activities. By this definition, talking is a behavior and thinking is not because I can't observe someones thoughts. All behavior occurs for a reason and the goal of an FBA is to discover that reason. Once the reason is discovered then an intervention, or plan of action, can be created. A FBA is needed anytime behavior reduction is desired. A common question I get asked is “Do I have to get a FBA done in order to intervene on a behavior?" The answer is no, you do not. However, understand that without first doing a FBA to discover what is maintaining the behavior you are just guessing. You are then creating an intervention based on a guess. In addition, research has shown that when people intervene on a behavior without first doing a FBA the focus tends to be on punishment. In other words the parent or professional is only focusing on stopping the behavior, and there is no emphasis on teaching replacement behaviors. A real life example of this I see all the time would be a parent who dislikes their child's self stimulatory behavior, such as repetitively sticking fingers into the mouth. Every time the parent sees the behavior, they pull the child's fingers out of the mouth. What is missing from this strategy is teaching the child what you want them to do instead of sucking on their fingers. A FBA is conducted in order to reduce or extinguish challenging behaviors. Challenging behaviors can include aggression, tantrumming, noncompliance, self injurious behaviors (SIB's), elopement, self harm, cursing, skipping school, etc. In an ideal situation a qualified BCBA would be the person conducting the entire FBA process. Unfortunately that isn’t always possible. Some school districts or families cannot afford to hire a BCBA, or you might live in an area without access to BCBA's. BCBA's can be quite difficult to find depending on where you live. Step 1: There are many ways to gather information about the child, the problem behaviors, the environment, and the possible function(s) of the behavior. I will typically conduct 1-2 interviews with the parents (or teacher, if a school requested a FBA), review the child's records (educational records, IEP, recent reports from a psychologist, physician, SLP, etc), and collect information from the parents about possible replacement behaviors. Its important to involve the parents in every step of the FBA process, as it helps ensure that the parents are active participants in the intervention. The goal at this point is to gather information about the problem behavior, when it occurs, how long it lasts, what does it look like, has it recently gotten worse, what tends to make it occur, and how do the parents react to the problem behavior. It can also be helpful to ask what strategies the parents have already tried to eliminate the behavior. To assist with the parent interview, I recommend using the FAST form (Functional Analysis Screening Tool), or the MAS (Motivation Assessment Scale). Step 2: The next step is to directly observe the child engaging in the problem behavior. This can sometimes be difficult to do. Since I am a professional unknown to the child and have no history with them of reinforcing their problem behaviors, its very common that I will go out for an observation and the child will be a perfect little saint during my entire observation. This often irritates parents immensely! :-) I like to explain this phenomenon to parents by comparing it to taking your car into the shop for auto repair. The mechanic will often say "I don't hear that noise you're talking about", and inevitably as you drive away from the auto shop your car begins making the noise again. If you are able to actually observe the problem behavior, be sure to closely watch for the Antecedent and Consequence to the behavior. You can always try and schedule more observation visits, or you can ask the parents to videotape the behavior the next time it occurs. At this point you should have some ideas of the hypothesis of the problem behavior, based on what you have seen and the data you have collected. There are 4 main functions for any behavior: Gain attention or a Tangible item, Automatic reinforcement (sensory), Avoid or escape a demand or situation, and To communicate wants/needs. 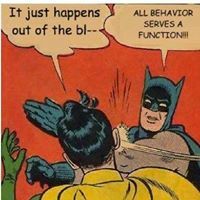 It isn't unusual for a behavior to serve multiple functions, although there is typically a main function (primary) and a lesser function (secondary). Step 3: After the FBA is completed your next step is creating a Behavior Plan. 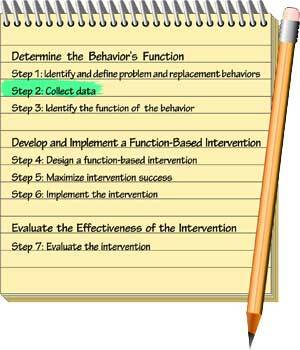 The behavior plan is your "plan of action", or the intervention that will reduce or eliminate the problem behavior. The plan to reduce the problem behavior is 50% of the intervention, and the other 50% is the plan to teach replacement behaviors. In other words, when the child stops engaging in the problem behavior what do you want them to do instead? The intervention you create will be directly connected to the function of the problem behavior. If a child is engaging in screaming to gain sensory input, then ignoring the screaming is a poor choice of a replacement behavior. A better choice would be to teach the child songs to sing, to match the need for vocal sensory input. Consultation is listed again for step 3 because it is critical to involve the parents as you develop the behavior plan and replacement behaviors. It isn't uncommon to come up with great, research proven replacement behaviors that one or both parents don't like. If the parent seems unsure or hesitant about the intervention you are suggesting then you need to find out why. What is it about the intervention that one or both of the parents don't agree with? For example, I worked with a parent a few years ago who did not want to use any planned ignoring procedures where her child would cry for extended periods of time. I explained the difference between planned ignoring for problem behavior and ignoring the child, as well as cited research, but the parent still disliked the planned procedure. So I redesigned the intervention. The problem behavior did eventually improve, but it took a much longer period of time. However, as an ABA professional I don't write behavior plans for myself. I write them for the client, so its imperative that the client is on board with the treatment I am recommending. **Quick Tip: Doing an FBA and creating interventions can be a challenging process. Do not be discouraged if it takes time and repeated attempts to learn this skill. If you look online or in books you may find resources to guide you in designing a FBA, but they are just examples. Tyler's FBA and behavior plan cannot be applied to Jared; these children are not identical and their behavior plans should not be identical. A FBA should be individualized to the child, as well as be viewed as acceptable by the people who must carry it out. The people closest to the child are the ones who ultimately determine the social validity and effectiveness of any behavioral intervention. i cannot express my gratitude to u in words. m a mother of a 3 yr old, from India. his condition ws diagnosed a month ago. going through ur website has given me so much info n not to mention hope n courage to face it n how to start off. plz keep up the good work. God bless u. You are so welcome, it is my goal to spread hope with my blog! When gathering data for an FBA, do your ABC data sheets include a space for possible setting events? Great blog! Thanks in advance. Yes, I do like to collect as much info as possible (at times I likely collect too much info) so setting events/M.O. information would be helpful to include on the ABC sheets.